Rugby led the rush to war in 1914. 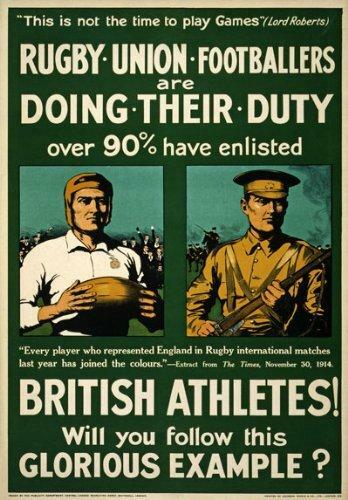 As a famous recruiting poster trumpeted in December, ‘Rugby Union Footballers Doing their Duty – over 90% have enlisted’. While professional football infamously played on until its eventual cessation on St George’s Day 1915, rugby clubs saw players join the colours so quickly in August that the RFU’s official cancellation of the season on 4 September only confirmed the inevitable – there would be no 1914/15 club rugby season. On 28 August at Gloucester’s Shire Hall, Sid Smart, the Gloucester and England forward got ‘a tremendous cheer’ as he stepped up to the platform, followed by some 300 or 400 men, including Lionel Hamblin the captain of Gloucester and other team mates, and volunteered to join the Territorial 5th Gloucestershires battalion. Five days later, the city’s rugby club issued a statement suspending their season as ‘practically the whole of the playing members have enlisted’. That, however, was by no means the end of rugby: improvised teams and matches sprang up to assist recruitment and raise funds for military charities. Prominent players led the way. Former Saints and England captain Edgar Mobbs enlisted as a private soldier as he was too old to be an officer in Kitchener’s New Army; he raised 264 men of D Company 7th Northants, promptly christened Mobbs’ Own. He was then quickly commissioned and in January 1915 organised an ‘England versus Scotland ‘ Military International game at the Northampton County Ground; the match programme stated that Lieutenant Mobbs ‘will be pleased to interview any new recruits in the Dressing Room after the Match’. A newspaper cartoon portrays Edgar deploying his celebrated hand-off in a charge against the enemy. Mobbs also led the recruiting charge with the Barbarians, playing a series of matches including a 26-10 defeat in April of a Wales team featuring 13 capped players. In the January match programme, Mobbs is also pictured in uniform with Colonel Fawcett of the Northamptonshire Regiment; the same photograph will be used in the 1921 programme for the first Mobbs Memorial Match, played in honour of the man who rose to command his own battalion, but was killed leading it on 31 July 1917, the first day of the Battle of Passchendaele. Not only was rugby employed as a recruiting vehicle, it was also valuable in getting men fit, improving discipline and teamwork and practising decision-making under pressure. Rugby also provided vital recreation at the front; it was a respite from the brutality of the trenches and a consoling reminder of a better world back home. 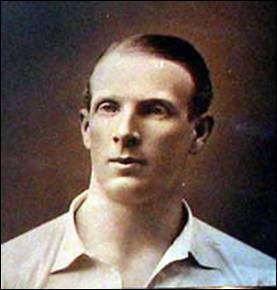 Another England skipper, Ronnie Poulton-Palmer played his last game at Nieppe on 14 April. Just a year earlier, he had captained England to a Grand Slam in Paris, scoring four tries against the French in the process. On this occasion, he turned out for the 48th (South Midlands) Division of Territorials against the Regular Army 4th Division who had just come out of the front line trenches. This latter division numbered some 27 international players in its ranks during the war. On this occasion, they included Lieutenant Billy Hinton the Irish fullback and Ulsterman William Tyrrell, who would be buried by an explosion not long after this game. He survived to become Air Vice-marshal Tyrrell, President of the Irish RFU and surgeon to King George VI. 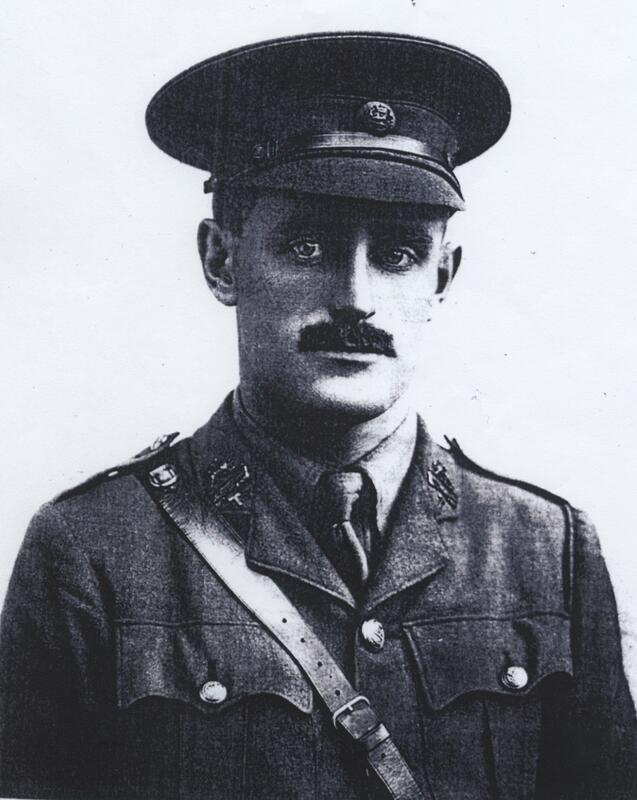 The 48th was built around a core of ten Gloucester players, including Private Sid Smart, but also counted Frank Deakin, skipper of Moseley and the great Poulton-Palmer, serving with the 4th Berkshires. Such was his magnetism that he attracted Ireland’s captain Dickie Lloyd, to motor over from Ypres and the Liverpool Scottish regiment, to make a guest appearance. He and Ronnie were team-mates in the 1914 Liverpool FC team that had also boasted Freddy Turner, the Scottish captain, who had already been killed at Kemmel in early January. Turner’s body, buried with care by fellow rugby man and double Victoria Cross winner Noel Chavasse, was lost as fighting continued to rage around the churchyard burial ground; by incredible coincidence, so was that of Percy ‘Toggie’ Kendall of Birkenhead Park and England, killed by a fluke ricochet a fortnight later. They now have memorial headstones side by side. The 48th Division ran out victors on that April day by 17-0, although Poulton-Palmer recalled it as 14-0 in a letter home. On 5 May, England’s rugby hero would be killed by a sniper at Ploegsteert Wood, his last and probably apocryphal words being, ‘I shall never play at Twickenham again’. The referee for this final and poignant match was another Irish rugby great, Basil Maclear, unaccountably overlooked by the country of his birth, England, but who had the last word by defeating them three times. He also scored an astounding try against the 1907 touring Springboks, some of whose players he may have faced on the battlefields of the Boer war. Captain Basil Maclear, who showed great coolness in handling the Reserve Company of the Battalion, which he was able to bring up almost intact under very heavy fire; and also the great power of command which he showed himself to possess when suddenly called upon to command the Battalion for four days during a trying situation. He was the youngest of five sons who all served in the First World War; brothers Percy and Harry, both Lt Colonels, were killed in action. Of the 30 caps won by Irish internationalists who died in the war, he collected over a third. 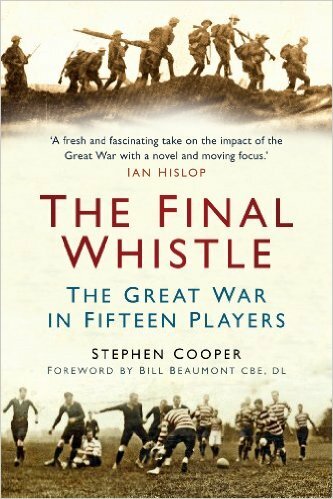 About the Author – Stephen Cooper is the author of award-winning ‘The Final Whistle: The Great War in Fifteen Players’. 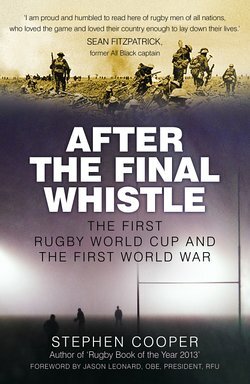 His second book, ‘After the Final Whistle: the First Rugby World Cup and the First World War’ will be published by Spellmount in August. This entry was posted in International Players, Lest We Forget. Bookmark the permalink.